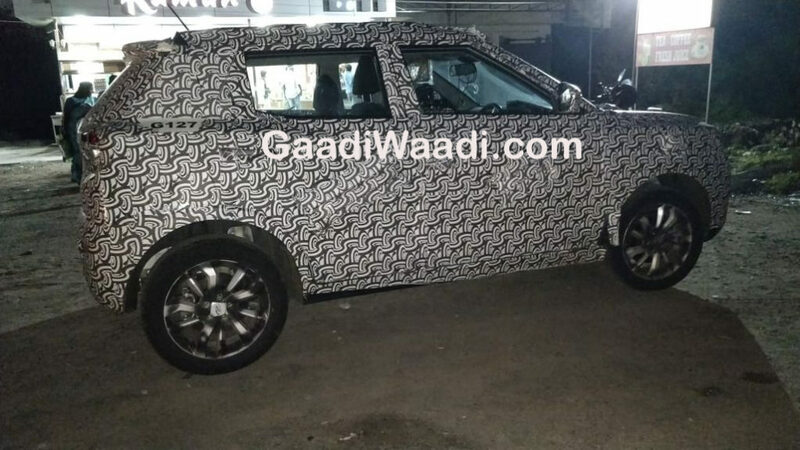 Mahindra is putting final touches to its upcoming compact SUV Inferno and the launch will take place in early 2019. The test mule spotted was camouflaged heavily to hide details and it comes with machine-cut alloy wheels also. The Inferno is codenamed as S201 and it is one of the frequently spotted products in Indian highways. The Inferno is based on SsangYong Tivoli platform and the compact SUV will get monocoque chassis as it will be the third product from Mahindra to get it as other models are based on ladder frame chassis but this modern construction will give excellent ride quality along with good handling characteristics and lighter body also. 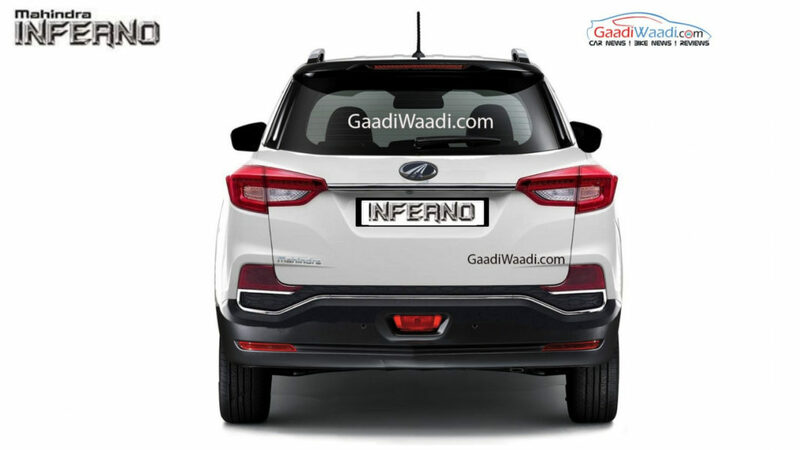 The exterior design of Inferno is different from Tivoli and it is in line with other Mahindra products as the company has given big projector headlamps with integrated DRLs and a new bumper. The compact SUV will come with black plastic cladding running across the body to give an SUV look along with faux skid plates also. The rear will get LED tail lamps and a new bumper along with an integrated spoiler. The interior is lifted straight from Tivoli as the centre console get a plethora of buttons but the steering wheel and instrument cluster are new. We can expect good space in the second and third row. The Inferno will come with segment first features like dual-zone climate control and sunroof along with touchscreen infotainment system, multi-function steering wheel, cruise control, keyless entry, push-button start, electronically controlled exterior mirrors, reverse camera with parking sensors, six-airbags, ABS and more. The compact SUV will be powered by a 1.5 L diesel engine from Marazzo with 125 PS and the company is also developing a new 1.5 L turbocharged petrol engine with 135 PS. Both these engines will be mated to a manual transmission as standard and automatic gearbox will be optional. The company is also working on an EV variant of Inferno and it will be launched in the first half of 2020.